Pat Buchanan Asks "Did Putin Order The Salisbury Hit?" But what is missing here is the Kremlin’s motive for the crime. Skripal was convicted of betraying Russian spies in 2006. He spent four years in prison and was exchanged in 2010 for Russian spies in the U.S. If Putin wanted Skripal dead as an example to all potential traitors, why didn’t he execute him while he was in Kremlin custody? “Cui bono?” runs the always relevant Ciceronian question. “Who benefits” from this criminal atrocity? Predictably, Britain’s reaction has been rage, revulsion and retaliation. 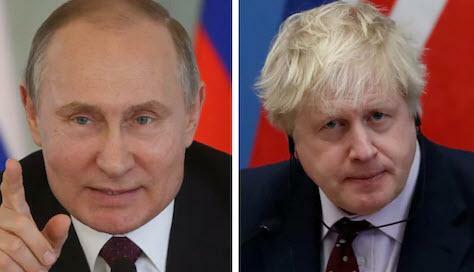 Twenty-three Russian diplomats, intelligence agents in their London embassy, have been expelled. The Brits have been treating Putin as a pariah and depicting Russia as outside the circle of civilized nations. Is it not the coalition — principally in our own capital city — that bears an endemic hostility to Russia and envisions America’s future role as a continuance of its Cold War role of containing and corralling Russia until we can achieve regime change in Moscow? What should Trump’s posture be? Stand by our British ally but insist privately on a full investigation and convincing proof before taking any irreversible action. Or was it the work of rogue agents who desired the consequences that they knew the murder of Skripal would produce — a deeper and more permanent split between Russia and the West? Before we set off on Cold War II with Russia — leading perhaps to the shooting war we avoided in Cold War I — let’s try to get this one right.